• Tuscany PU magnetic phone pocket and magnetic phone holder for your car. 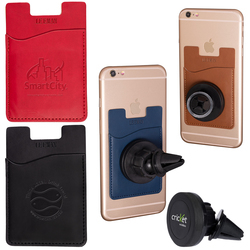 • Pocket features adhesive that sticks to the back of your mobile phone and integrated magnet for attaching to car stand. 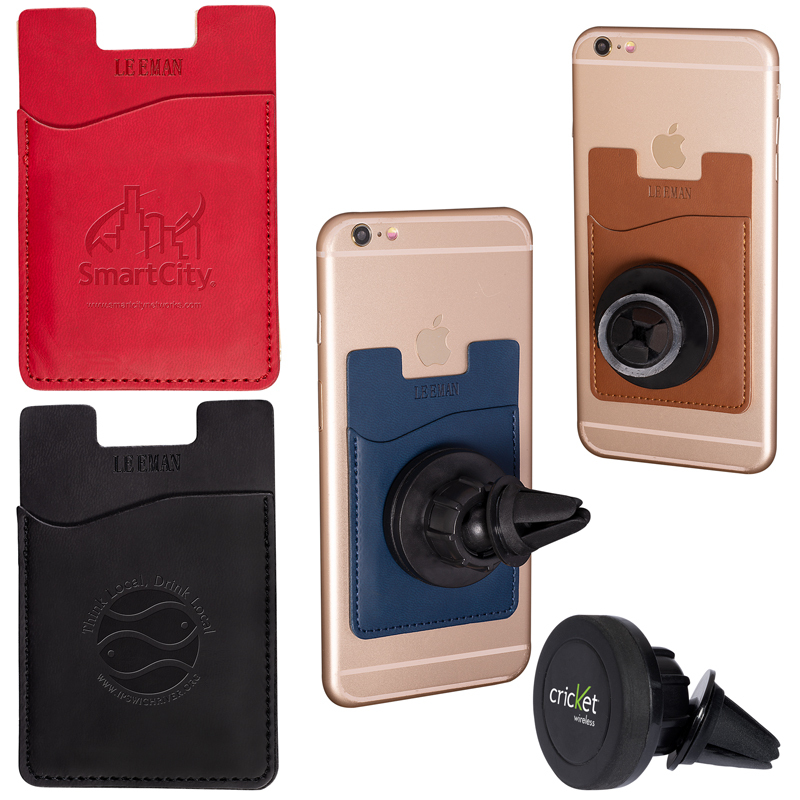 • Attach phone pocket to your device, insert slide and attach back of round magnetic panel to your auto air vent and to mount just place silicone pocket on the magnetic panel. • Pocket doubles as a wallet. Holds approx. 2 or 3 credit cards, driver's license, business cards, transit cards or other small personal items.